According to the U.S Census Bureau, one out of six Americans move out of their home every year. The agency added that an average American vacates home 11.7 times in his lifetime, though as they get older and reach the age of 44, he only moves around 3.1 times. Create a moving or transfer plan. Come up with a checklist about where, how and what to move. This is to keep things organized and on track. Moving plan will also save up time and effort . Plan your budget. Call to mind that the price of a house matters on where it is located. A house that is near malls or other high-building establishments may be expensive compared to those near markets. Make sure to go for a place that you and your budget are most comfortable with. Investigate the place before moving in. See the structure for yourself. Check up if it may be maintained or not, or find out if the place may collapse with storm and the like. Be meticulous in checking the place out. It will be of great help in making decisions. Make sure that electric connection and water supply is unterrupted. Verify the info by asking the neighbors or someone within the village. For a rent house, ask if individual metres are provided. It is crucial to know these things before moving in. After all, it is your choice to accept the terms and conditions with regard to this. Ask for a signed contract the moment you have final dealings with the house or place you moved in to. If you are renting or giving monthly payments, always ask for an official receipt from the person or company you are paying it for. These will serve as legal documents that may be useful in the future. Inform landlord about things that need fixing. In case you have spotted some things that needs repair in the place, let the owner or manager know so that they can address them and to make sure that you did not cause such damage. An alternative is to take photos of the house and let the owner see. Are you relocating by yourself? If not, identify your companion (friends, movers) ahead of time. 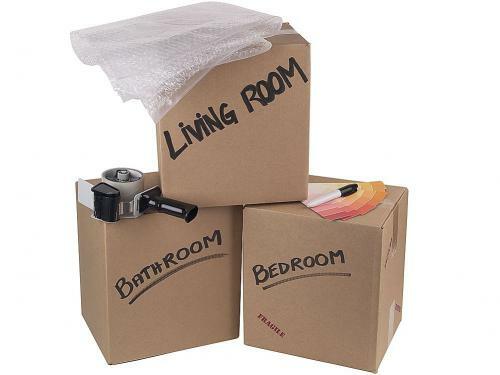 Let them know your moving plans so that they can help you during the preparation. Lipat Bahay can be very taxing but readiness and organization is all that is needed.